Where was the wow? Michelle Loveday would look at corporate events, launches and festivals to see so much potential being met with standard, ho-hum solutions. 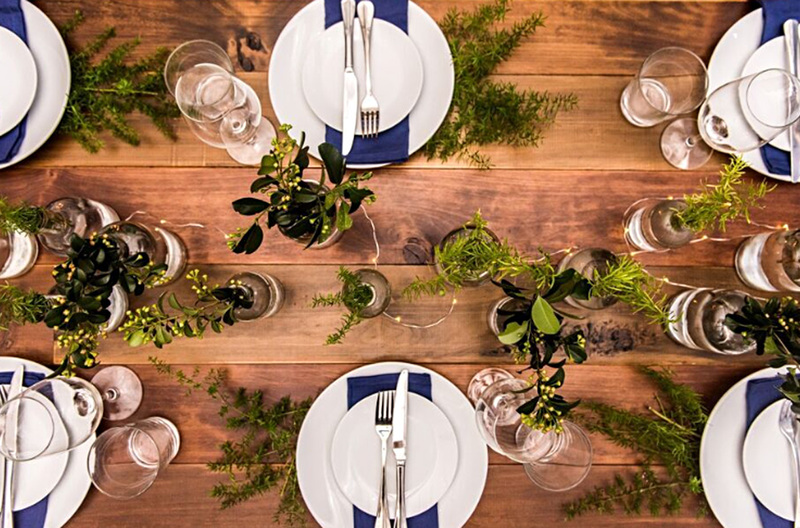 There was a definite gap in the events market for something more customised and more exciting. Michelle’s new business would take things further. She started her NEIS training with Sarina Russo in 2014. The guest speakers were an inspiring part of the program for Michelle, bringing real-life experience and knowledge to the student group. All aspects of what a start-up needs to have in place were discussed; scenarios of progress and setbacks were worked through and detailed business plans were put in place. Michelle was helped in the first year of her new business by the NEIS mentor program, getting advice and an experienced opinion as the business developed. Her company is called Brandition and it took a big step forward in that first year by taking on a part-time employee; freeing up Michelle to work ‘on’ the business – building stock and developing past and new relationships with potential clients. From there the projects kept coming in and Michelle surrounded herself with skilled people who could breathe life into each event her clients briefed. Every project has a team with the variety of skills needed to collaborate from concept to delivery. This process can require stylists, creative build managers, logistics staff, marketers, communications people and finance managers. 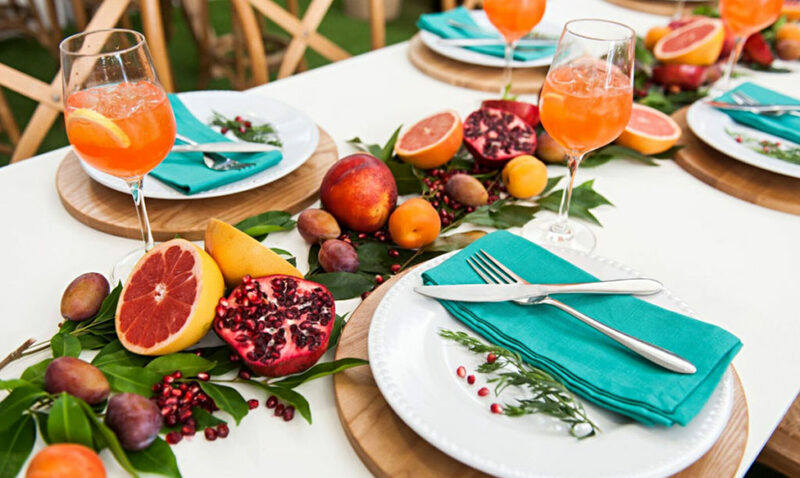 Teams can extend to travel and catering consultants to complete the experience a client needs to present. Brandition’s enthusiasm to invent and deliver is a big strength and Michelle is very aware of the edge that spirit gives her company over the competition. Four years later, Brandition has six permanent employees, and up to twelve casual or external consultants. A 500m² warehouse is located at Yeronga in Brisbane to house the roughly $500,000 worth of hire stock items and two delivery vehicles. In four years of operation, growth has been huge. Revenue for the 2017/18 year is around $1.74 million. Future bookings and forecasts are for $2.33 million in 2018/19. Problem-solving is a big part of the work. A bicycle that serves cold drinks; pop up shops and bars; outdoor arbours and tables suspended from the ceiling – it can all be done! “Our unique products take a lot of effort and time” explains Michelle. “Most of our competitors are not willing or able to follow through when clients ask for something different. We are proud of our ability to never give up on an idea.” You can keep up with Brandition’s latest projects on Facebook and Instagram. Clients large and small are seeking out Brandition’s work. 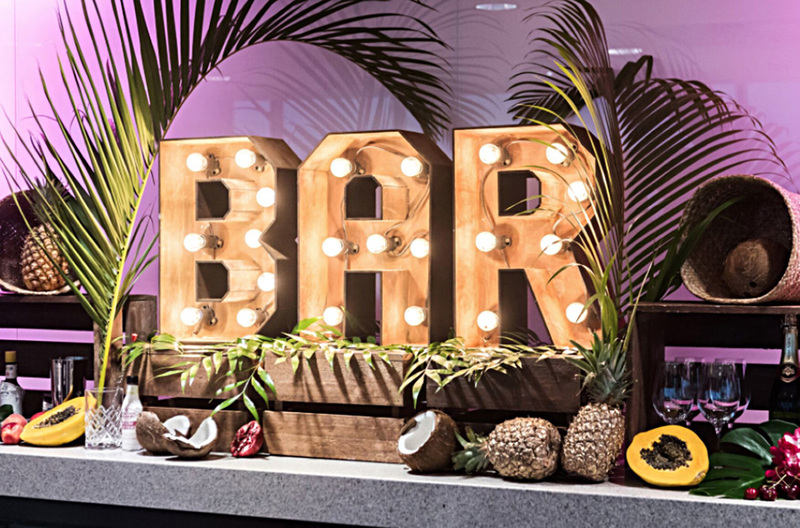 Bank of Queensland, Ernst & Young, Mercedes Benz, Qantas, Noosa Food & Wine and Brisbane City Council, are amongst the clients looking for creative ways to showcase their messages and venues. Brandition takes care of its own promotion too. There is a dedicated marketing role now, to build recognition and spread the word to potential clients about their custom thinking and custom builds. This is helped a great deal by enthusiastic existing customers who are happy to share their own positive experiences of Brandition’s work. 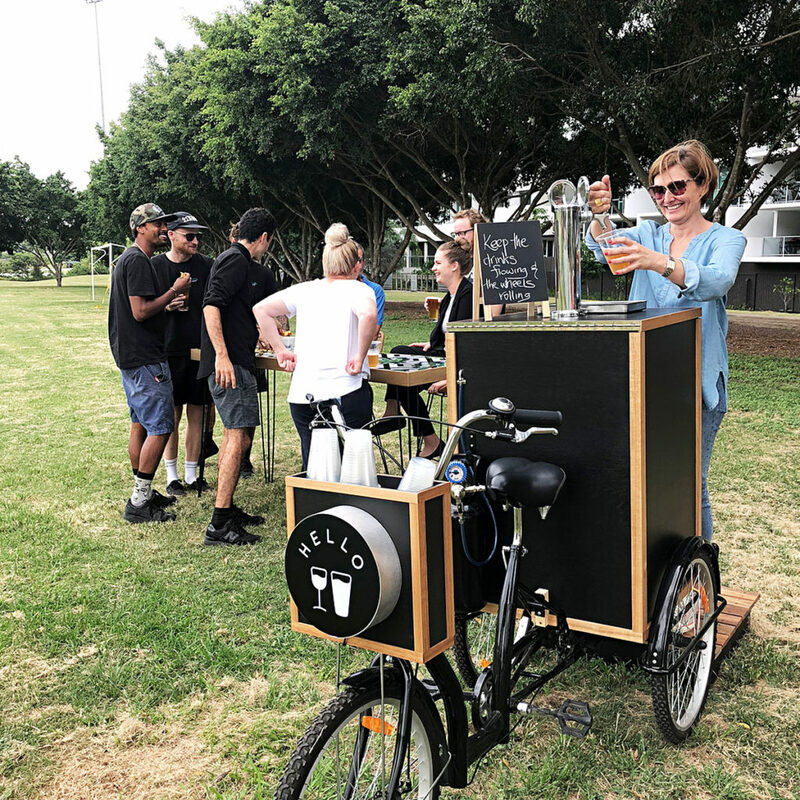 Word-of-mouth can be your best selling tool – a bicycle that serves cold drinks isn’t bad either. If you have a unique idea for your new business, take the first step to becoming self-employed with free NEIS training. Use the postcode search tool to locate your nearest NEIS provider for a chat.